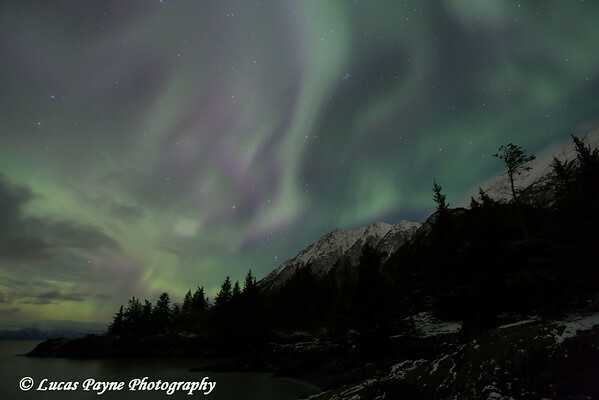 Images of the northern lights at various locations in Alaska. Check out the link below to see when the northern lights will be active in your area. The Geophysical Institute Aurora Forecast. Check out the long term and short term northern lights forecast for your area. area. CLICK ON EACH IMAGE TO VIEW A LARGER VERSION. View of the Aurora Borealis (Northern Lights) dancing above the Kenai Mountains and Turnagain Arm, Kenai Peninsula, Southcentral, Alaska.